Hi there, my darlings! 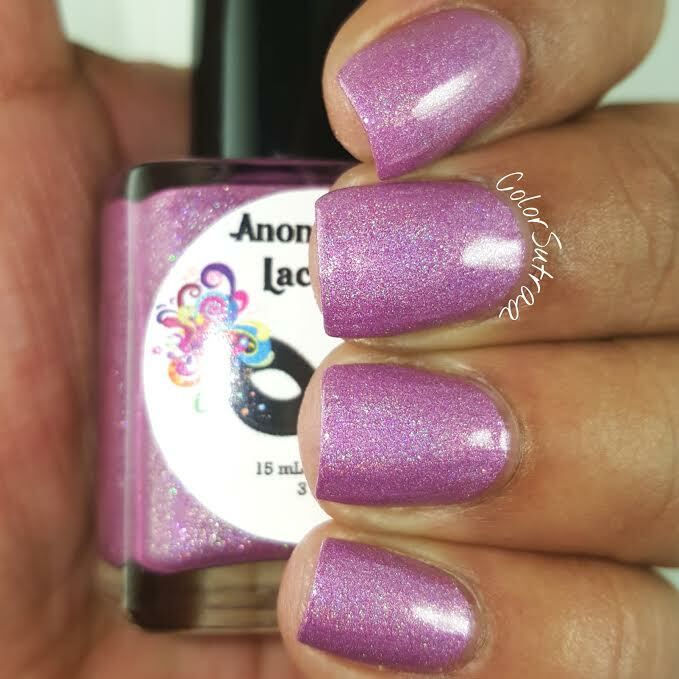 Continuing on with our reveals this beautiful Monday morning, let's take a peek at what Mill of Anonymous Lacquer picked for her Fave creation of 2015--it's a beauty! 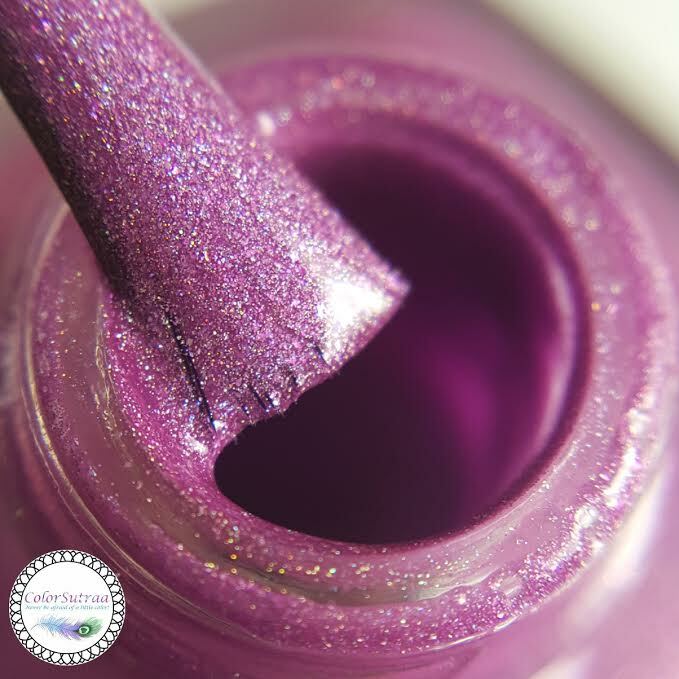 Gift for a Princess is a gorgeous pink-toned lavender creme with a subtle holo with finish. Fantastic formula and application, the swatches below show 2 easy coats with 1 thin coat of Glisten & Glow's HK Girl topcoat. 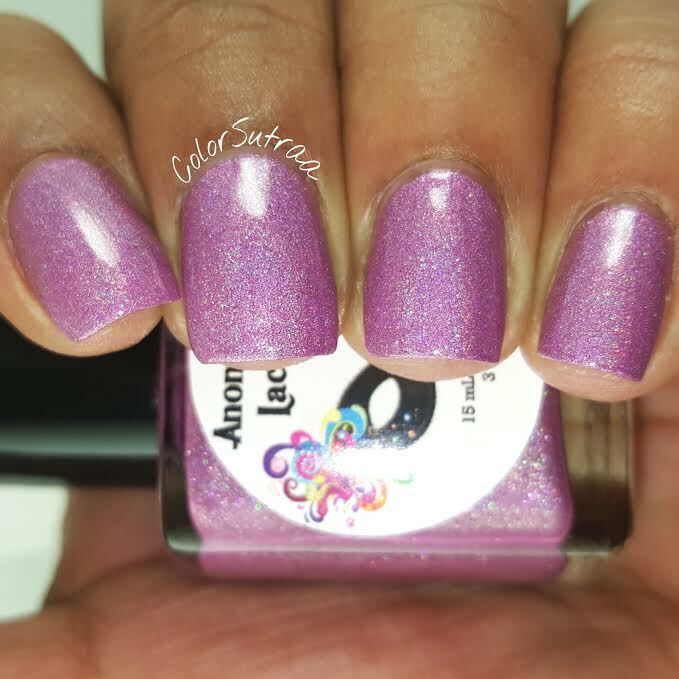 I have a whole LOT of Anonymous Lacquer faves but I can totally see why Mill picked this one! So there you have it, my darlings! 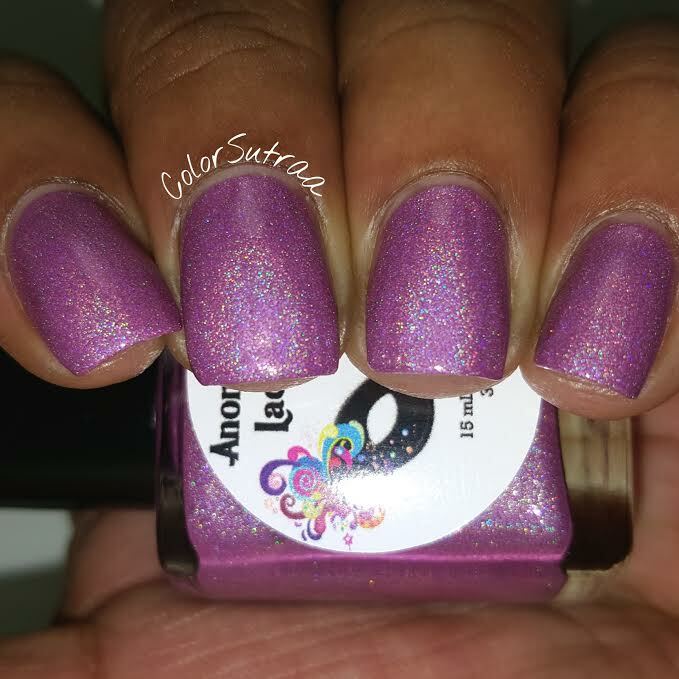 If you would like to add this beauty to your collection or take a peek at some of the other fabulous holos she has in store, you can find them at Mill's store HERE--each bottle is priced at $10.00 for a full-size, 15 mL bottle. Don't forget to follow Anonymous Lacquer on FACEBOOK and INSTAGRAM for sneak peeks of her latest products! Do you like Mill's choice? I'd love to hear from you in the comments section below! This is great spring color! This looks absolutely amazing on you!